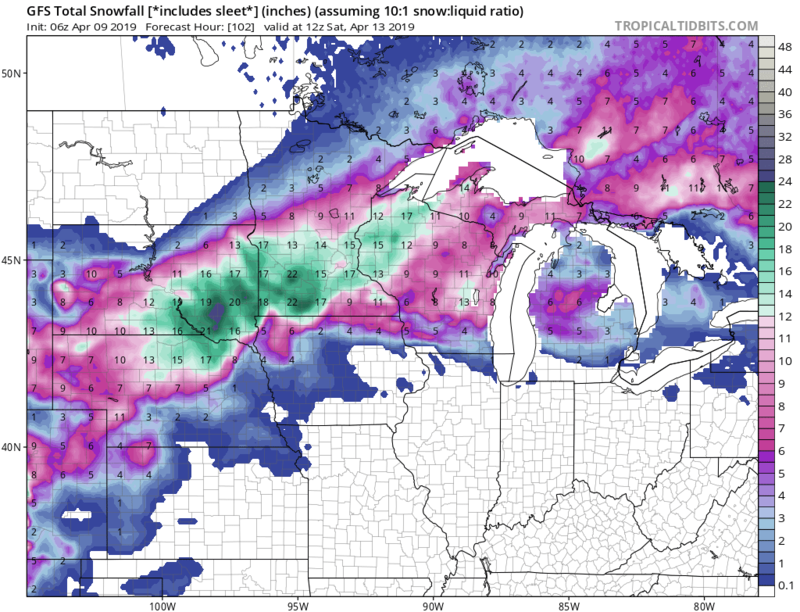 A major storm will move into the Plains this week and bring blizzard conditions, heavy snows and severe weather, all within miles of each other. 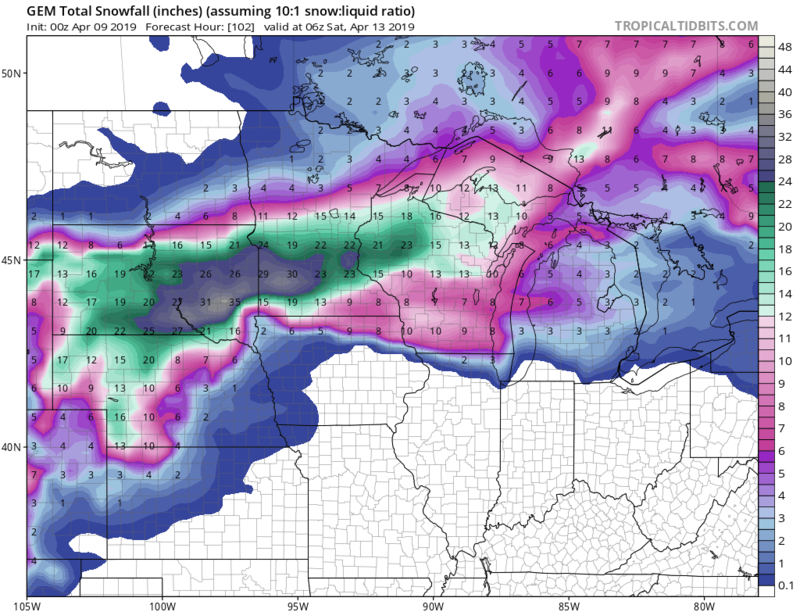 The storm will hit Wednesday and Thursday in the Plains then head into the Great Lakes and eastern Canada Friday. The key to the heavy snows as shown on all the model maps below will be the thunderstorms that will develop in the warm sector and move north into the cod air causing high snow rates of 1-3 inches per hour with thunder and lighting. The storms in Iowa will be severe with damaging winds and even some quick spin-up tornadoes. It’s possible that a tornado warning will be right next to a blizzard warning which is just crazy to think about. If you look at the dew point map, notice the high dew point air right up to the cold air which will be the support for the severe storms. We will severe severe storms in Illinois Thursday and in Pennsylvania Friday. In both cases, damaging winds will be the main issue. 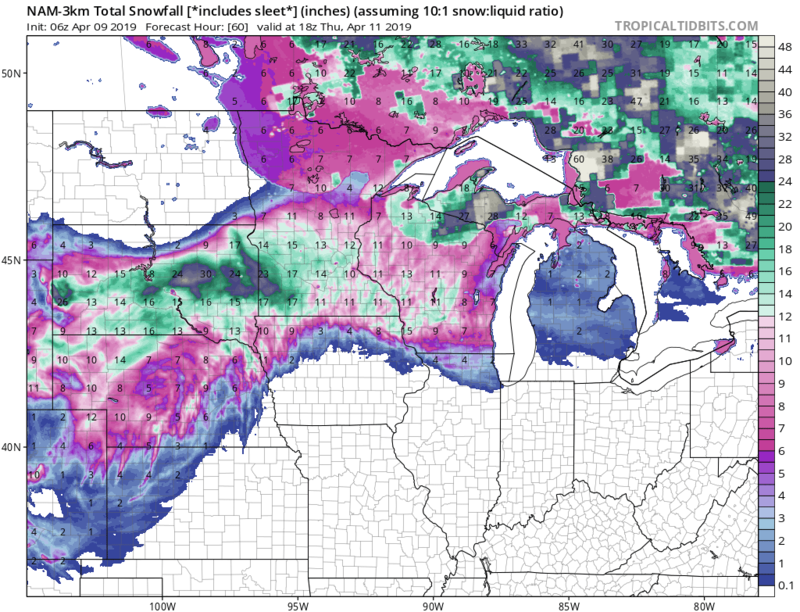 Snowfall maps are below. 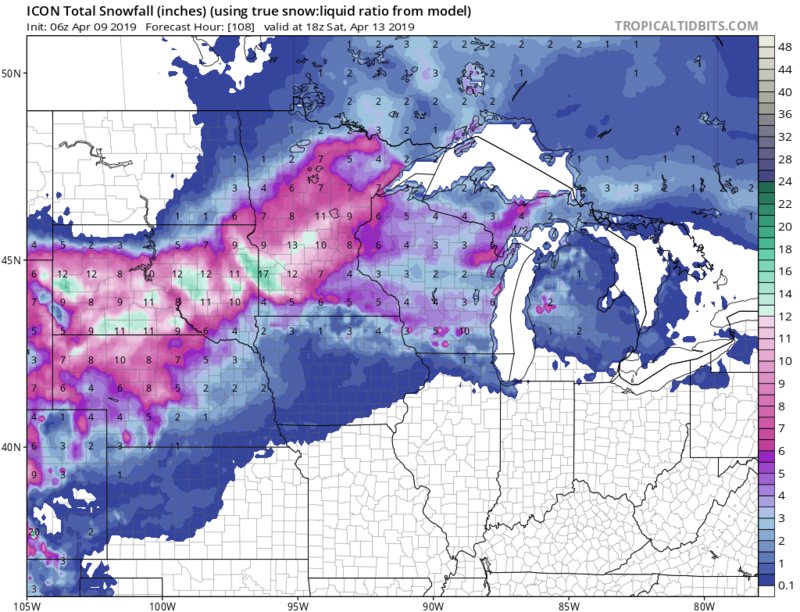 Notice that with high dew point air coming up and thunderstorms developing, the snowfall will be amazing with over a foot possible over a large area of the Plains. This is not good for farmers because it means more flooding issues and a delay getting to the fields.